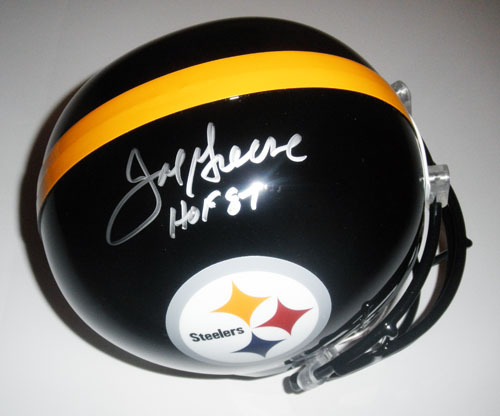 JOE GREENE HAND SIGNED FULL SIZE DELUXE REPLICA RIDDELL HELMET. MEAN JOE GREEN INSCRIBED THE HELMET "HOF 87". HE IS ONE OF THE GREATEST STEELERS OF ALL TIME. THE HELMET IS AUTHENTICATED BY JSA AND COMES WITH A JSA CERTIFICATE OF AUTHENTICITY AND STICKER.